Just plug a LB320A unit into each end of your copper wire and use simple DIP switches to set one unit as local (CO) and the other as remote (CP)—there’s never any software to install. Plus, the RJ-45 port autosenses speed and duplex and features MDI/MDI-X for easy cabling. 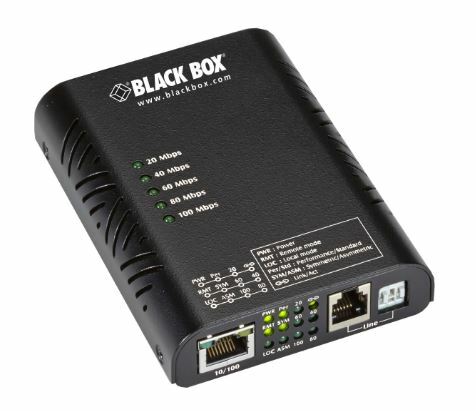 Extends 10- or 100-Mbps Ethernet up to 1.6 miles (2.6 km) at 1 Mbps and up to 300 meters at 100 Mbps. Perfect for connecting an isolated user in another building or in another part of a large building.